Almost every person faces the low back pain during their life. It is believed that a significant percentage of absence in the workplace is associated with this problem. The symptoms can be extremely variable: from chronic pain to severe, sharp pain. The main factors that lead to the appearance of unpleasant sensations in the lumbar region are hypothermia, inadequate physical activity, a sedentary lifestyle, excessive body weight, and incorrect posture. However, the cause of pain is not always that obvious. 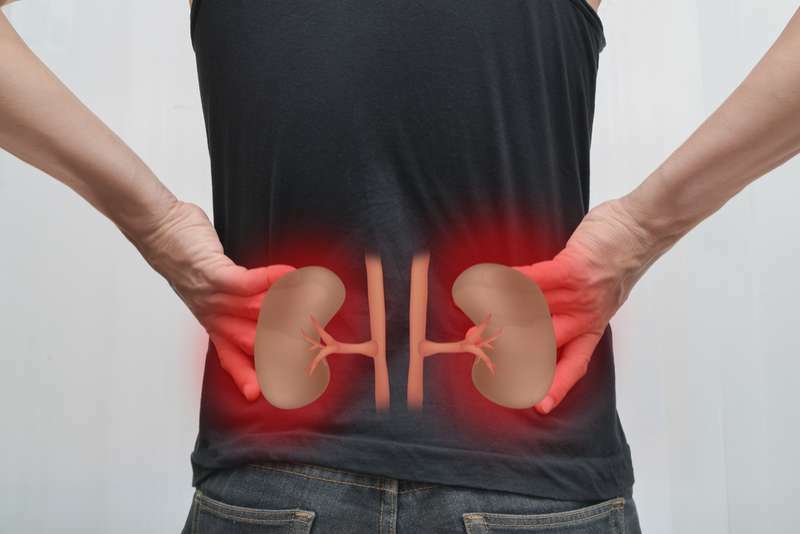 Pain in the lumbar region is one of the most characteristic symptoms of inflammation diseases of the kidneys (pyelonephritis, glomerulonephritis) and a bladder (cystitis), as well as urolithiasis. Endometriosis is a gynecological disease. One of the main symptoms of this pathology is pain in the lower back, which often intensifies before menstruation, but also can be permanent. Untimely diagnosis and treatment of this disease can lead to infertility. Do you remember your mother always asking you to sit straight when you were a child? She was absolutely right! Your back copes with the body weight only when you are not slouching. If you are standing, try to distribute the weight to both legs as evenly as possible. According to the experts, around 75% of patients suffering from peptic ulcer disease complain of pain in the lumbar region. And that is not all! Be carefu, pain caused by pancreatitis or acute cholecystitis can also spread to the back. Another reason which causes pain in the lumbar region is the prolonged wearing of high-heeled shoes. When you walk in high heels, the center of gravity shifts, which causes an increase of the pressure on the lower back. Quite often, pain in the lower back arises from inadequate physical exertion. A lifting of heavy objects or overly diligent training in the gym (especially if you don’t have that much of experience) can lead to extremely negative consequences in the form of damaging muscles or even intervertebral discs. Be sure to consult a doctor if the pain lasts more than 3 days. Tumors can squeeze nerves, which causes a lot of pain. Depending on the location of the tumor (small or large intestine, bladder, kidney, body, or cervix) pain can allocate in different areas. The sooner you seek medical help, the higher the chances of a full recovery are. We’re hoping that this information was useful. Please, take care of your health and do not hesitate to visit the doctor as soon as possible.